Sure we moved out the curriculum, but if you’re anything like me, you have a lot of other school stuff to get rid of. I have accumulated enough writing instruments to supply a small country! Declutter items that don’t serve a function right now and just get in the way. Ask your kids to help with this by choosing their favorites to keep. Once you’ve removed the excess, you can get rid of the cobwebs and do detail dusting and vacuuming. Resist the temptation to do it yourself! This is a great job for kids of all ages. At one time, my primary school space in the basement was cold, dark, and depressing. My husband helped me come up with solutions to the problems. We decided to repair the walls (five boys can be rough on drywall), repaint, replace the off-white carpet (what was I thinking when I chose that? 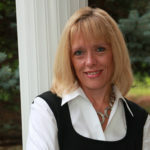 ), add a space heater and a new light, and buy new furniture. 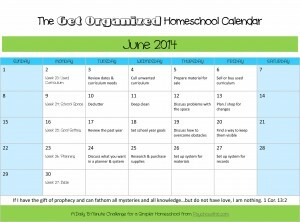 Your children may have some suggestions for you, too. 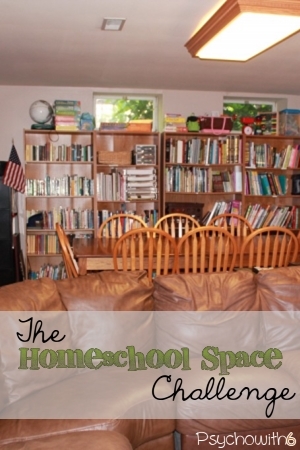 The carpet was the most expensive part of our homeschool space redo, but well worth it. We added an existing bookcase to the wall to give it a more uniform look and bought used furniture from Craigslist. 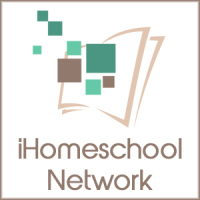 You can see more of our space in this post, but check out the great homeschool spaces on the Organized Homeschool Pinterest board for inspiration. 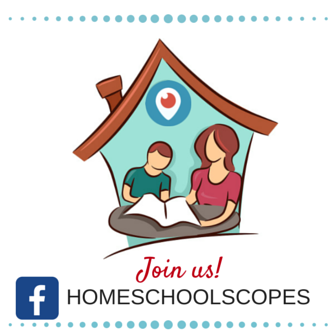 Pray about what you can do to make your homeschool space more appealing. It can really make a difference in your mood and productivity. 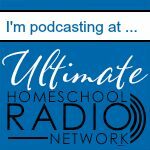 What are some of your homeschool space dilemmas? 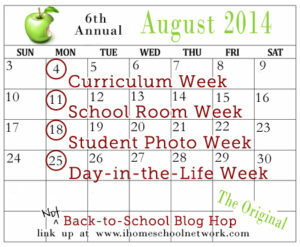 Be sure to visit the Not Back to School Blog Hop for more great homeschool space inspiration.